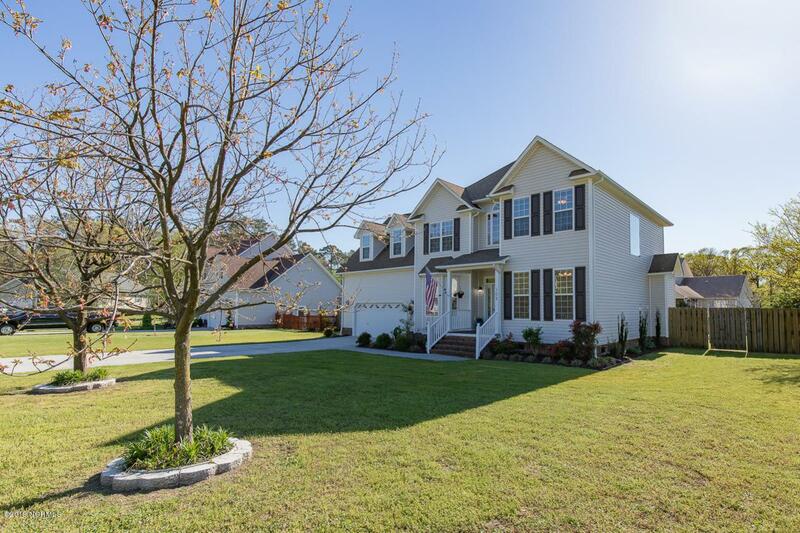 PRICE JUST REDUCED on this gorgeous two-story 3-bedroom/2.5 bath home in Richlands! It's a must see 2,500 sq. ft. home on a cul-de-sac lane with an open concept layout. Formal entry way with chandelier lighting greets you upon entering the home. French doors open to a study, office or man cave. There is a formal dinning room, as well as a breakfast nook in the open kitchen with bar seating overlooking into the family room. The family room will be a great gathering place for all while sitting by the gas fireplace and brick mantle from floor to ceiling. Take a tour upstairs to the master bedroom featuring trey ceilings, and the his/hers sinks and jetted tub in the master bathroom. 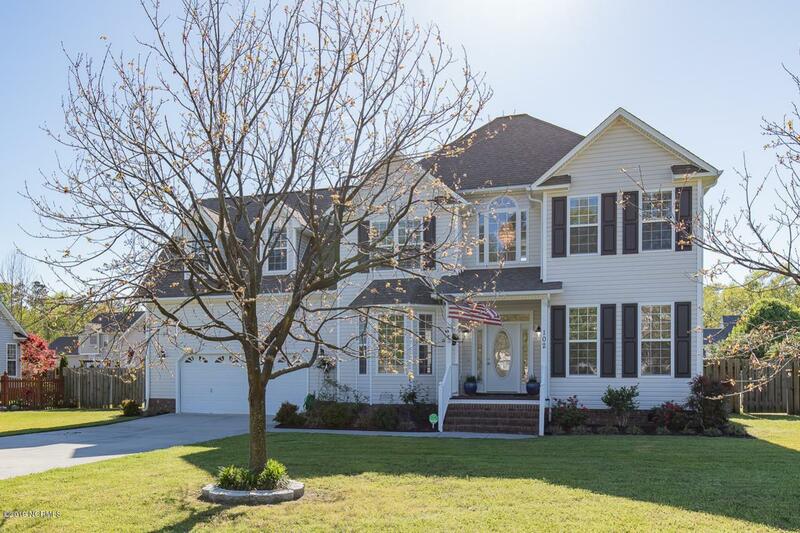 There is also a walk-in closet and separate walk-in shower and a private toilet area.There are three bedrooms upstairs, but the kids will love the large bonus room that extends all the way over the garage! Plus, there are four closets and room enough for storage galore. The 2-plus car garage can fit your jet ski's, cars and more! Enjoy leisure time on the covered deck and patio which is great for BBQ get-togethers. Not to be outdone is the two-story 14' x 20' detached workshop wired with electricity! Great place for the she-shed, man cave or teen hang out! Don't worry about the pets as they can't run away in the privacy fenced backyard. 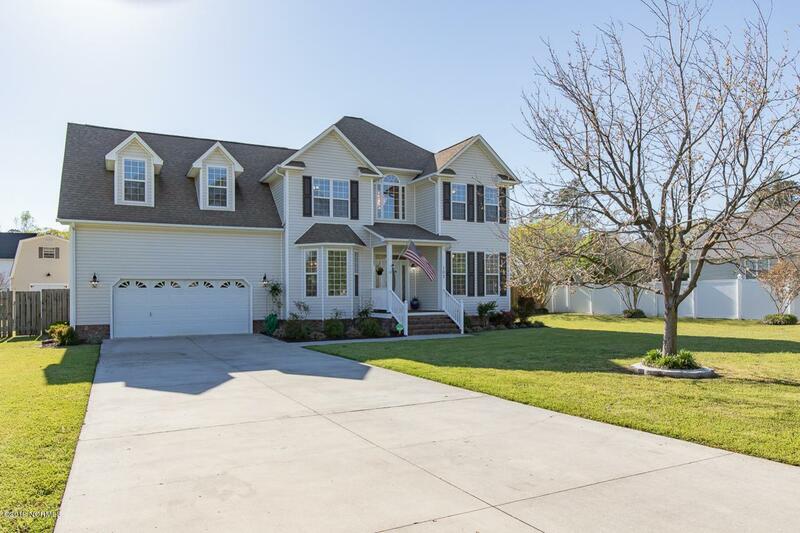 This home is close to Bases, shopping, restaurants, freeways and more! No city taxes. Seller is offering a home warranty and termite warranty. Call today for a private showing. 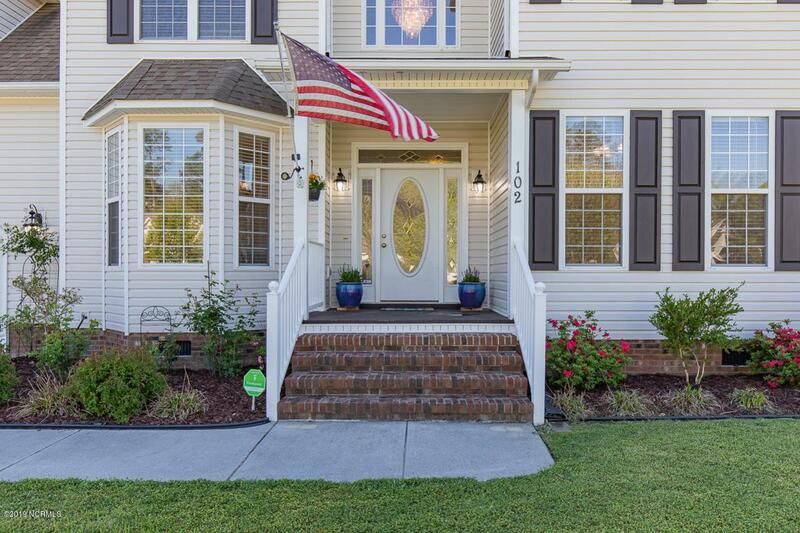 Seller is a licensed NC Realtor. Listing provided courtesy of Kathryn Benjamin of Century 21 Champion Real Estate.